Another installment in the popular series of fighting games developed by Arc System Works. The story was divided into three chapters and it tells about the further adventures of characters known from the previous entries in the series. BlazBlue: Central Fiction is another installment of the renowned series of two-dimensional fighting games. This installment finishes the story started in 2009 with BlazBlue: Calamity Trigger. It was developed by Arc System Works, known for previous entries in the series and titles like Guilty Gear and Persona 4: The Ultimax Ultra Suplex. The game debuted on arcades in November 2015 and a few months later it was released on PC, PS4 and PS3. The story of BlazBlue: Central Fiction for PC, PS4 and PS3 was divided into three acts in which the player learns the fate of characters known from the previous entries in the series and a couple of new ones – Hibiki Kohaku (Kagura’s assistant), Naoto Kurogana (the protagonist of Bloodedge Experience) and Hades Izanami (the true antagonist of the whole series). Among the old friends the player can find Ragna the Bloodedge, Jin Kisaragi, Noel Vermillion, Rachel Alucard, Taokaka, Carl Clover, Litchi Faye-Ling and many others. 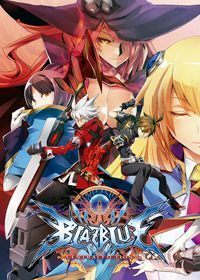 The gameplay of BlazBlue: Central Fiction for PC, PS4 and PS3 is very similar to the one available in the previous installment in the series, Blazblue: Chrono Phantasma. However, the developers introduced some novelties. The most important one is Exceed Accel, a special type of Distortion Drive that deals powerful damage and immediately consumes the Overdrive. Another new mechanic is Active Flow which is the opposition of the Negative Penalty. It activates when player is fighting very aggressively and it provides additional bonuses (greater damage, also in the case of Exceed Accel, faster regenerating of Burst bar). In addition to that, a few changes related to Overdrive were introduced (when activated, it provides more damage and other bonuses) and the character portraits were modified. The game offers a few modes. In addition to the classic Arcade Mode and multiplayer options, the title introduces two additional modes – Speed Star Mode and Alliance Mode. In the former the player is tasked with defeating a specific number of AI-controlled opponents within a certain time limit. Interestingly, in this mode the player doesn’t lose health when being successfully attacked. In the latter the player selects a team of four warriors which are used in fights against teams of opponents. The defeated warriors can be recruited to player’s team. BlazBlue: Central Fiction for PC, PS4 and PS3 uses similar graphics style as the previous installment in the series. It is a fighting game that uses manga style. The visuals of the game are filled with spectacular and impressive attacks.